Are you looking for a classy venue that provides great food for your next function (such as birthday, anniversary, corporate function, etc)? If so, you need look no further as we have the answer for you. 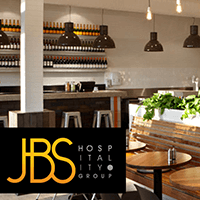 JBS Hospitality Group is one of Melbourne’s largest hospitality companies and specialises in providing the ultimate in customer experiences – and they’re a partner of the Caulfield Bears. And JBS can cater for your function at home or the office as well. So if you’re looking for that special venue or catering package for your next function, contact Liz @ JBS Hospitality (liz@jbshospitality.com.au) to discuss your requirements – and please let her know you’re a Bears’ supporter.